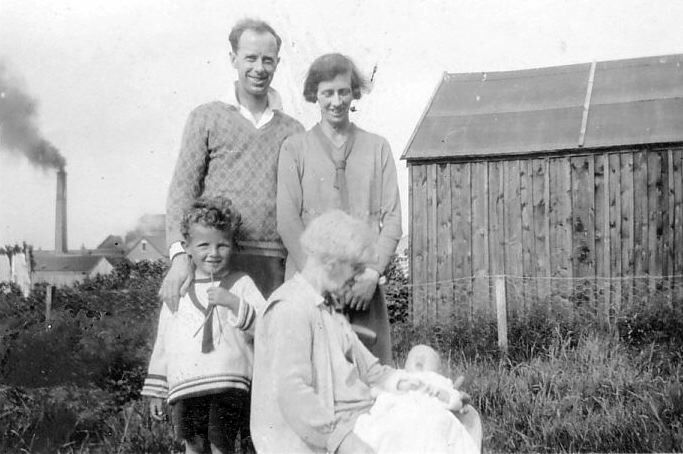 Monochrome photograph of a family group taken in garden at Brora? with smoking chimney stack in background. Photograph part of set, mounted on brown paper sheets, showing various scout activities. Gentleman in this photograph appears in other photographs as a scout leader.